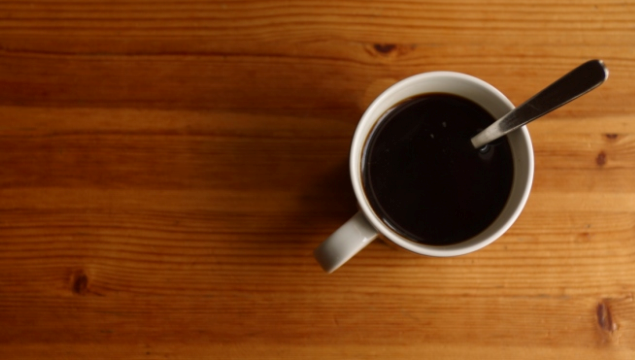 If you drink coffee immediately after waking up, you're doing it wrong. Coffee addicts, you may want to sit down for this: If you pound coffee immediately after waking up—newsflash—you’re doing it all wrong. Turns out the best caffeine buzzes come to those who wait. So say Mitchell Moffit and Gregory Brown, the brains behind AsapSCIENCE, a popular science education channel on YouTube. The cheeky Canadian scientists have freshly brewed a video that crushes the long-cherished ritual of scoring your caffeine fix first thing in the morning. How could they? Sacré brew! Per the pair, sipping a cup of Joe right after rising doesn’t perk you up as much as you’d think and maybe not at all. Unfortunately it doesn’t achieve much aside from building up your caffeine tolerance, causing you to need, want and desperately crave more and more of the ancient stimulant to feel its effects. You can blame the pesky stress hormone cortisol, essentially your body’s own version of caffeine, for rendering your morning cuppa moot. Thanks to your primal alarm clock, the circadian rhythm, cortisol levels tend to peak between 8 and 9 a.m., around when most of us coffee heads start slamming liquid motivation like our lives depend on it. Cortisol is busy doing its job at that time, making us feel awake and alert. The bad news: Spiking the breakfast cortisol chemical cocktail with a caffeinated beverage is redundant, basically useless. The good news: Pounding coffee later in the morning, when cortisol isn’t coursing through your veins on cue, will perk your zombie rump up, just like you like it to. Like Tom Petty and the Heartbreakers said, the waiting is the hardest part. For a more detailed dive into why you’re drinking coffee all wrong and how you can fix it, hold your morning mug and check out AsapSCIENCE’s eye-opening explainer.